For further information contact: The Braund Society, 140 Stucely Road, Bideford, North Devon EX39 3EL. 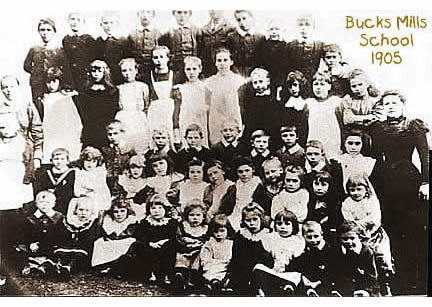 The surname "Braund" has close associations with the village of Bucks Mills where, at one time, almost every resident was related to the Braunds. Their past ferocity in scaring away prospective newcomers and the natural isolation of the place, contributed to the formation of a tight-knit family colony. The surname Braund is firmly rooted in the West Country and North Devon in particular. It is said that the Braunds, noted for their dark hair, broad heads and brown eyes, owed their existence to local women who married survivors of a Spanish Armada ship, wrecked on the North Devon coast over four hundred years ago, however, this commonly expressed myth is open to debate by the Braund Society who claim that documentary evidence shows that Braunds lived in Devon villages long before the sixteenth century. The Braund Society was founded in 1982 by the late Cyril John Braund to promote the study of the history, biography and genealogy of the Braund family and to encourage friendship and fellowship between its members. The Braund Society believe that all Braunds share a common ancestry, but the records required to prove this have not survived. Members of the Braund Society, therefore, represent several branches of the Braund family. Over the last two centuries the family has spread to every corner of the world. Illustrious members of the Braund family include: Captain James Braund 'King' of Bucks Mills (see Pic), Mary Braund, a first fleet convict who escaped in an open boat to Timor Island; Leonard Charles Braund the England cricketer; George Braund the conjuror; John Braund who designed furniture for royal residences; John Braund the Hatherleigh clockmaker; William and Thomas Braund who fought at Trafalgar; Lewis and Owen Braund who perished with the Titanic and William Braund the East India Company merchant. The Society are, however, just as proud of their less notable ancestors, many of whom were agricultural labourers or fishermen. Those who married Braunds and their descendants. Other interested parties may become associate members.